This week’s guest Pam Mandel of Nerd’s Eye View and Passports with Purpose. In response to the discussion regarding food poisoning, there are various microorganisms that are associated with food poisoning, all of which have their own specific time periods of onset and signs and symptoms, although some do overlap. For example, food poisoning from Staphulococus aureus can cause nausea, vomiting, diarrhea as soon as 30 minutes after ingestion of the intoxicated food and most people recover in 1-3 days. This type is often attributed to improper food handling, whether it be lack of hand washing or the food not reaching appropriate temperature. Common foods include meats and dairy products, although are several more. On the other hand, Clostridium botulinum food poisoning can take 12-72 hours for signs and symptoms to manifest, which can include nausea and vomiting but also dizziness, double vision, muscle spasms, and even paralysis and death if left untreated. It can take 1-10 days to recover with treatment. Foods implicated with this type of food poisoning include improperly canned foods. Also of note is that honey contains Clostridium botulinum spores, which adults can tolerate without adverse affects but infants cannot. Those are just two examples, there are tons more out there. It seems to me that it would have been a difficult case to link the passangers’s death to the food without more solid proof. Did anyone else who ate the chicken present with food poisoning? What about the fact that the article stated the passenger had a heart attack? 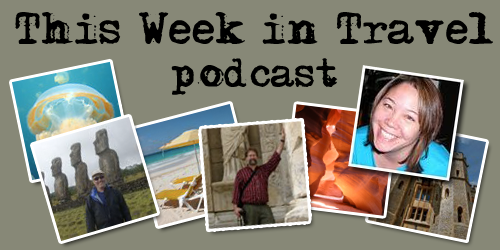 Thank you to the hosts and guests of This Week in Travel for your podcasts, I really enjoy them. Rae, I am going to go out on a limb and say you know more about food poisoning that I do. I hope this was through study instead of experience.